I am usually not the smartest person in the room, unless I am by myself. Although, I do get to review 20 to 40 cannabis news stories a day, seven days a week, from various sources such as emails, news alerts, streaming, and news feeds in social media. I also get to edit all the stories and articles at that go up on Cannabis.net, so I get to follow the trends and developments in real time for the cannabis space. 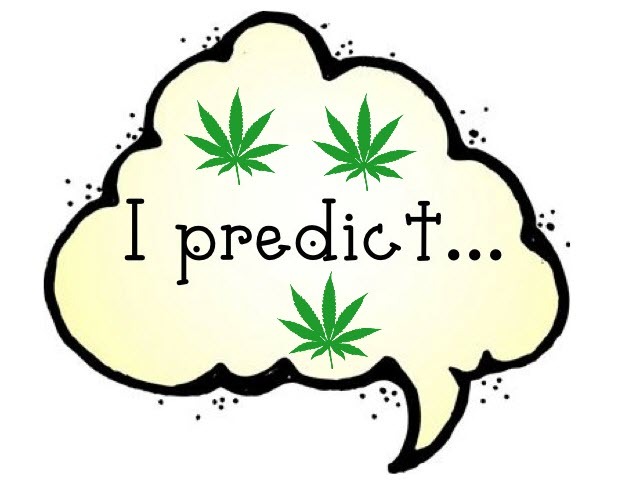 After 3 years of devoting my life to the cannabis space, there are a few predictions or guesses I can tell you are going to happen with a fair amount of certainty in the cannabis space in the coming years. Remember, history doesn’t repeat, but it does rhythm. If we look to the alcohol space, the commodities space (as cannabis is just a plant), and the retail space, I can tell you a few things about how this industry will look in 24 to 36 months and where you want to position yourself or your company. First, cannabis ordering and delivery will follow the lead of all brick and mortar retail and delivery. If we have learned one thing from the “Amazon Revolution” it is that we expect, and like, to order things with 2 to 3 clicks. We like them to have free 2-day shipping, and we are willing to pay more if we need to get them quicker. Cannabis will be no different once the Federal law in the US is changed, this will likely trigger the UN to have to change the scheduling of cannabis as both the US and Canada will have full legalization on the recreational level. Once cannabis is “removed from the controlled substance list” as all 3 bills in Congress plan to do, you will remove many branches of the US government being involved in the cannabis trade. If cannabis is removed from the controlled substance list, the FDA will no longer have authority over it, the DEA will no longer have jurisdiction over it, and the US Postal Service (also a Federal office) will have no right to stop or detain packages containing cannabis. This is the biggest game changer around, removing the negative incentives and punishments around growing, shipping, and selling cannabis at a national level. 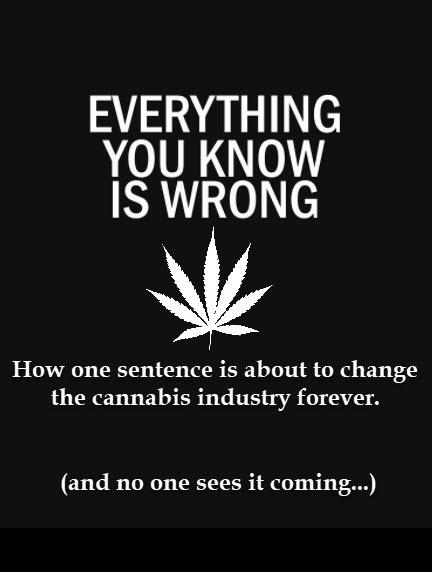 If you have not read our story on called “Everything You Know is Wrong”, read it here, we cover what could happen if cannabis is removed form the controlled substance list. So yes, cannabis will all be ordered through an app much like Amazon works now. You will click twice to order, it will be free shipping for 2 days. Your phone location setting will tell the provider if you have a delivery option near you that can deliver your order in 90 minutes or less. You will pay extra for that but you will get your order within a 2 or 4 hour window. Will Canopy Growth be selling cannabis through it’s Amazon store? How about your local dispensary, just like other retailers, having to maintain and sell cannabis through their own website and platform, and also having to keep an Amazon storefront active. Remember, merchants will propagate to where the people are, so they can sell stuff, and Amazon, with its fast infrastructure and “PRIME” set up, are where the people are right now. What are demand side mergers and sites? Just like Amazon, they will be cannabis sites that have traffic, traffic that can be converted to buyers. The margins on taking an order online and shipping it through the mail dwarf the margins a dispensary currently has in the US. We can generate orders and opt-in forms at pennies on the dollar and keep margins at 200% to 300% if we could ship through the mail and send the order out ourselves. A dispensary must pay for brick and mortar set up, taxes, employee benefits etc. In the end, when margins start to compress, growth on the bottom line will slow. Everyone will go after the Cannabis.net’s, Herb.co’s, High Times, Leafly’s, and such sites because we can insure your profit margins for years to come. Check out Namaste Technologies model as they are well on the way to planning for this new world order of online cannabis sales. Think I am crazy, check out High Times buying Green Rush Media for $ 7million recently in order to beef up their digital presence. The URL Cannabis.com sold for over $ 5million last year. Weedmaps, the dominant mapping and ordering site on the Internet has a $ 500million private market cap. Traffic is king on the Internet, Google knows it, Facebook knows it, and everyone needs it. The cannabis space will be no different once the supply side agreements and grow numbers all settle down. In the end, everyone is going to need traffic (orders) and they will want to pay as little as they can to acquire the order, same as any business. Third, cannabis will be a publicly traded commodity around the world by 2023. It will have a futures’ contract on the CBOT or another platform. My guess is that there will be 3 grades of cannabis that you can buy around the globe to start. Medical Grade, Recreational Grade, and Shwag Grade. The offshoots of that set up will lead to contracts for Indoor Medical Grade, Outdoor Medical Grade, Indoor Recreational Grade and Outdoor Recreational Grade. The contracts will trade like any commodity such as pork lions, corn, steer, soy beans, etc. Fourth, supply will be MASSIVE around the world. Cannabis is comparable to a tomato plant as far as growing, and after a few mistakes, even a novice can figure out a decent closet or home grow. As we mentioned early, once the Federal and International laws change, EVERYONE will be growing weed for two reasons. The first is the penalty for getting caught with an “illegal” grow will be minimal, and second, the barrier to entry, or moat as Warren Buffett calls it, is minimal. By minimal, I am mean put a seed in some nice rich dirt, water it, watch a few YouTube videos and you are officially on your way to growing weed. Will you screw up a few times, get mold, mites, and yellow leaves? Yep. After a few cycles you will get it right and keep improving your own grow efficiency with technology such as more efficient lights, fans, soil minerals, nutrients, etc. The world will eventually come to a market equilibrium for supply and demand, but it may take years due to regional laws and licensing restrictions. The black market grows will thrive along with the “legal” cannabis grows. Everyone will have an incentive, whether their own person use or for financial gain, to start growing a few plants. Cannabis will be grown in extra closets, basements, spare bedrooms, roofs, gardens, forests, and fields. Once you grow a few pounds, what are you going to do with it? If you have plenty of supply for yourself, you are going to give it or sell it to trusted friends or associates. Guess what, now they don’t need to go legitimate suppliers’ either. Hence, margin compression is coming on the plant no matter how you look at it. Fifth, the most reasonable plan for a Federal doctrine is to make medical cannabis legal in all 50 states. If you have a prescription from a doctor in Colorado, it is valid in Texas or Florida. Medicine is medicine and a doctor is a doctor. You should not have to worry about carrying your medication on vacation in Alabama if are pulled over by the Police. Show your medical card and that the amount you are carrying is under the legal limit, and you should be left alone. Recreational should be left up to the states. If you live in the Rust Belt or Bible Belt and you don’t want recreational cannabis, then you can use the democratic process and vote it down. That does not give you the right to stop a family trying to get cannabis oil for an epileptic son or daughter in your state. They should apply for a medical card, be able to receive it at the Federal level, and be able to order cannabis oil online and have it delivered to their home. If you don’t want dispensaries for recreational purposes in your downtown or state, so be it, go vote on it, but you cannot keep medicine from sick people. Where should you position your company if cannabis is removed from the controlled substance list? Where should you position your company if Canada gets rid of the medical program once recreational is legalized? That happens to your brand or company is Amazon starts selling cannabis or allows licensed cannabis retailers to open an “Amazon storefront”, even if it is just to service the state they are licensed in? I am not the smartest guy in the room very often, but everyone should have a plan A and plan B for the next 36 months. EVERYTHING YOU KNOW IS ABOUT TO CHANGE IN CANNABIS, CLICK HERE. 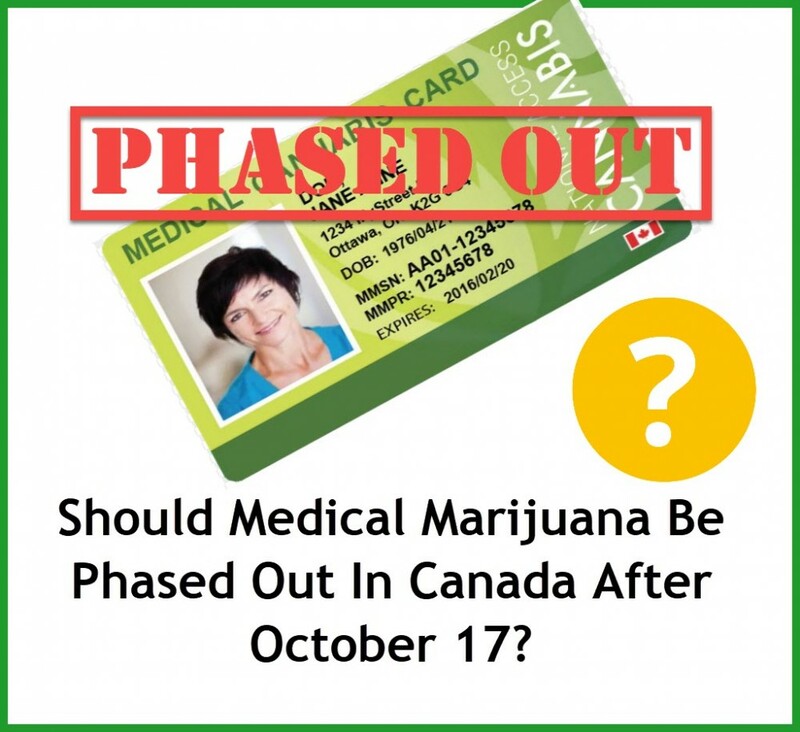 WILL CANADIAN MEDICAL GET PHASED OUT, CLICK HERE. 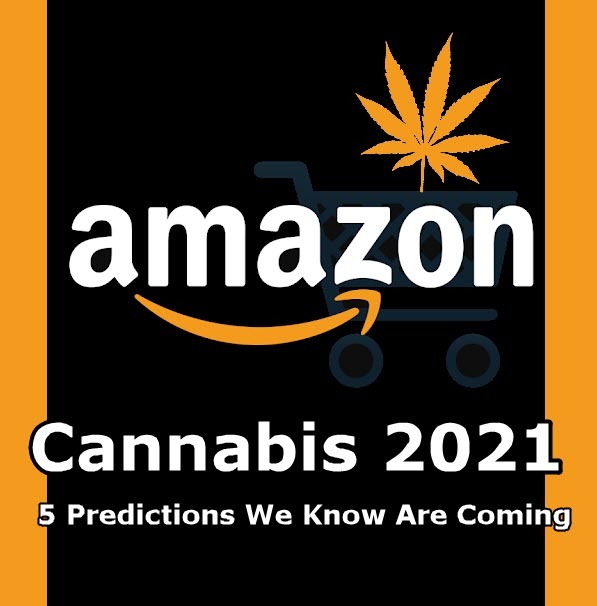 2021, Cannabis, Market, predictions. Bookmark.